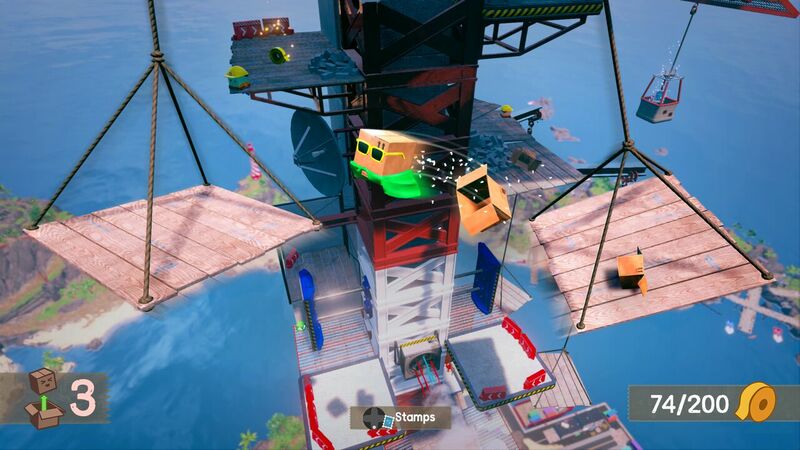 Home Read Why Are Modern 3D Platformers Stuck in the Past? Yooka-Laylee. A Hat in Time. Flynn & Freckles. Those are just three of a handful of independent 3D platformers that all have one thing in, or indeed, quite a lot in common – their source of inspiration. Each one of them were inspired by 3D platformers of the past, say their developers, either specifically games like Banjo-Kazooie, or the genre as a whole. The same can be said of future releases in the genre, like Clive ‘n’ Wrench, Lobodestroyo, and Happy Hell. The landscape of AAA led 3D platformers isn’t any different in that regard. The only real difference is that it’s a much smaller playing field. Or maybe it’s worse, because while Super Mario Odyssey was inspired by Super Mario 64, at least it wasn’t a straight up remake like Crash Bandicoot N. Sane Trilogy or Spyro Reignited Trilogy, the only other recent offerings by big publishers. The 3D platformer is a dying breed, and there’s one reason behind it. It’s not because people are tired of playing those games – that’s merely a symptom of the disease. The problem is a lack of innovation, and the seeming unwillingness on the part of developers to provide it. In this week’s video, we discus Skylar & Plux: Adventure on Clover Island, a 3D platformer that’s unusual in this day and age. No, it doesn’t try to reinvent the wheel for the genre, but it at least takes its inspiration from a different source. Rather than ape the Nintendo 64 platformers of yore, it instead emulates PlayStation 2 platformers, specifically Jak & Daxter and Ratchet & Clank. It’s an uncommon well to tap in the genre, and while it doesn’t do nearly enough to restore the honor of 3D platformers, it at least feels different enough to stand out. What it does best, however, is highlight just how factory-standard most other games of this type are now. We’re reduced to celebrating a game’s creative for ripping off Sprite when everyone else is gunning for Mellow Yellow. Within the last decade and a half, there’s really only been two 3D platformers that have truly attempted something unique: Unbox and Snake Pass. In Unbox, you play as a cardboard box, thus movement is reduced to rolling around and jumping requires essentially tearing yourself apart, Lisa. Besides its traversal system, it’s pretty much a clone of Banjo-Kazooie, with large and open worlds to explore, and side activities to collect more junk. 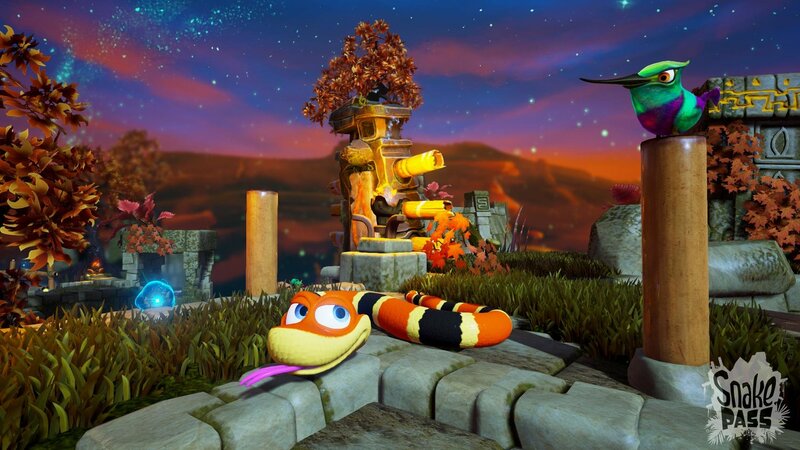 The real innovator is Snake Pass. Developed by Sumo Digital, a studio with a long history of diverse and mediocre games, they released their slithering crawl-‘em-up out of the blue, with no prior experience in the genre. You play as a snake, so you can’t jump. Instead, you have to crawl everywhere. This makes the game feel like a puzzle game as much as a platformer, and feels like the first breath of fresh air in the genre since… well, it began. Are 3D Platformers Really Dead? Given the massive success of Super Mario Odyssey and Crash Bandicoot N. Sane Trilogy, the 3D platformer can’t be dead, right? And if you want to argue those games did well purely on the back of nostalgia for those franchises, then what about the popularity of A Hat in Time and Snake Pass? Previously “dead” genres like point-and-click adventure and horror games came back because independent developers took the torch from the AAA market, and forged a new path built on fresh, new ideas. Now Resident Evil is scary again, and Telltale’s dead. Okay, maybe ignore that last part, but the point is it took a passing of the torch to developers who wanted to experiment with the tropes and mechanics of their genres to push it forward. That’s what 3D platformers need, a mad scientist genius willing to mix it up. It needs more Snake Pass’s and Unbox’s, even if games like Super Mario Odyssey are technically better (and better selling) games for the long-term viability of the genre.